"This is going to be a really fantastic project," said Abby. "I feel it in my bones." Ridiculous, thinks Chris. 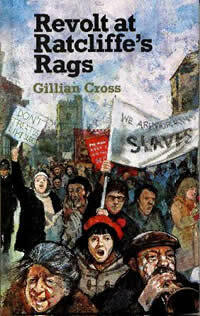 What did she expect to find in a small clothing factory like Ratcliffe's Rags? But Abby finds more than any of them bargain for. She is outraged by the way the factory is run and she urges the workers to strike. Marches and pickets are organised and the media move in. When the children's parents get involved, some are for the strike and some are against - and the children are caught in the middle.